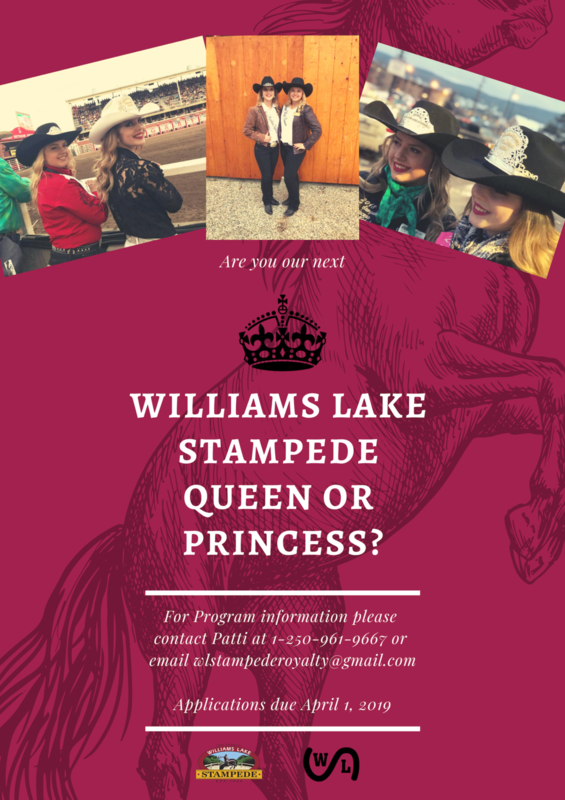 Are you the next Williams Lake Stampede Queen or Princess and Ambassador for the sport of rodeo and the City of Williams Lake? Our 2019 Williams Lake Stampede Royalty Competition is now open! Please download the application form here (PDF, 320KB) and return to us before the April 1, 2019 deadline! Our website photography has been graciously donated from artists in our community and showcases some of the best talent in our region and beyond. Special thanks and recognition to: Casey Bennett, Laureen Caruthers , Dallas Duffy , Amy Mitchell , Gordon Stevenson, Kylie Forseille Still Reality Photography , and Liz Twan.